The industry standard in polycentric knees, the Total Knee, has been redesigned and given a whole new look. Now the knee is stronger and more durable. The knee accommodates everyday walking requirements. Through use of friction within an elastic polymer medium, the swing phase is controlled and steady. 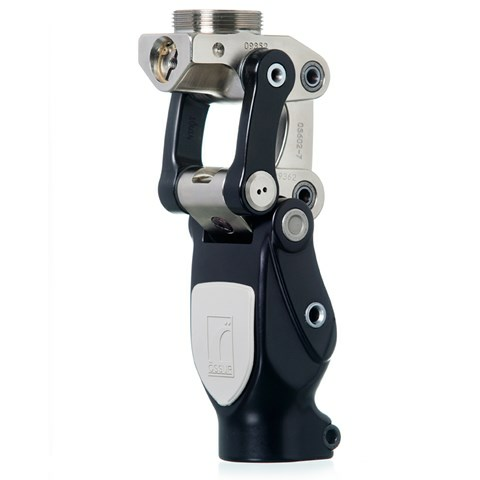 That combined with the extension promoter which assists in limiting heel rise and moving the knee into a fully extended position, ensures every amputee has access to the superior attributes of a Total Knee. Designed for single speed ambulators. Unique swing phase control through use of friction within an elastic polymer medium.